Item number Sf489 from the MOA: University of British Columbia. 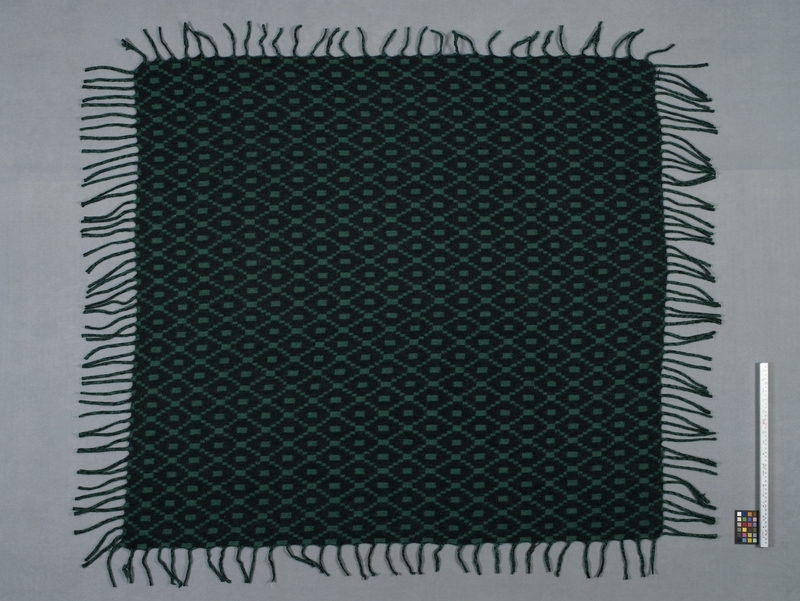 Shawl featuring a geometric pattern composed of rectangles arranged in a latticework design in green and black. 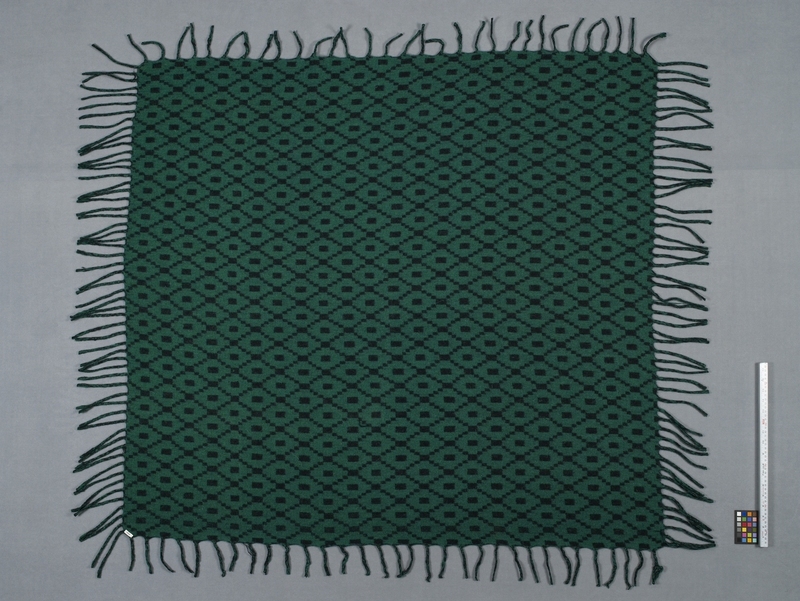 The shawl is finished with a fringe along each edge. Purchased in June 1978 in the Cuzco Indian market from Maria Denunez. Made in a large textile factory in the Cuzco area.